It’s that time of year again. 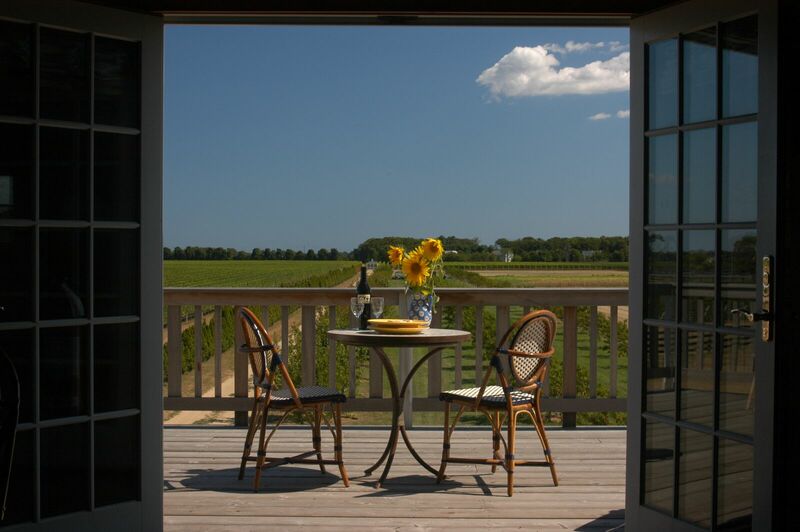 A chance to relish in the artisans, farms and vineyards that have made the North Fork such a prosperous haven. The 10th annual North Fork Foodie Tour takes place Sunday, Sept. 11. Stomach growling, I rounded up some of the area’s top producers that drive the market, captivate our imaginations and never fail to keep us full. Martha Clara has made great strides from its roots as a roadside farm stand. Renowned for more than rosé, this raved about vineyard has served as a concert venue for local and big name acts, a tranquil oasis that welcomes furry friends and a place to take old-fashioned horse and carriage rides. Founded by the same Entenmann’s family that began the iconic bakery in 1898, the winery on 112 acres of vines delivers individual tastings, flights and wines by the glass or bottle for the ultimate destination day-trip. 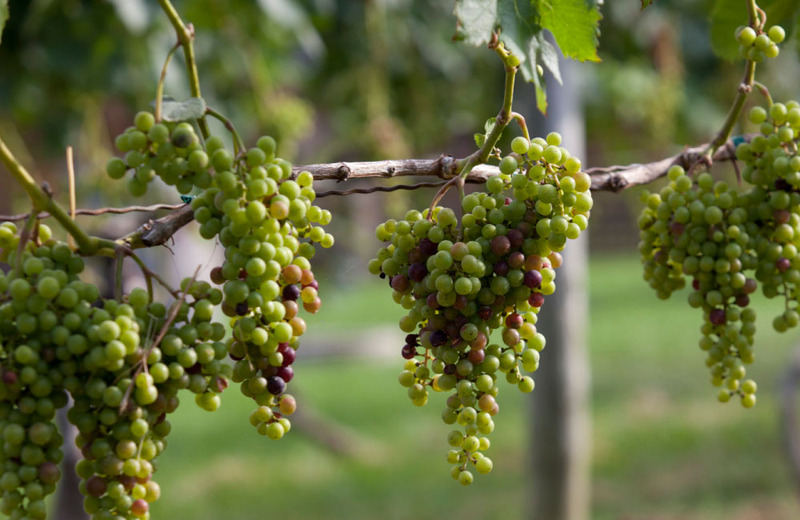 Palmer Vineyards continues to drive the Long Island wine industry. Established by Robert Palmer in 1983 the 90 acres of vines are home to Merlot, Chardonnay, Pinot Blanc, Sauvignon Blanc, Cabernet Sauvignon, Cabernet Franc and Gewürztraminer grapes that produce about 16,000 cases of wine each year. Winemaker Miguel Martin made Palmer the first vineyard in New York to produce Albarino wine, a pale white Spanish varietal aperitif with aromas of kiwi and lime. It’s definitely a vino to be reckoned with. Bigger is always better at Macari Vineyards. 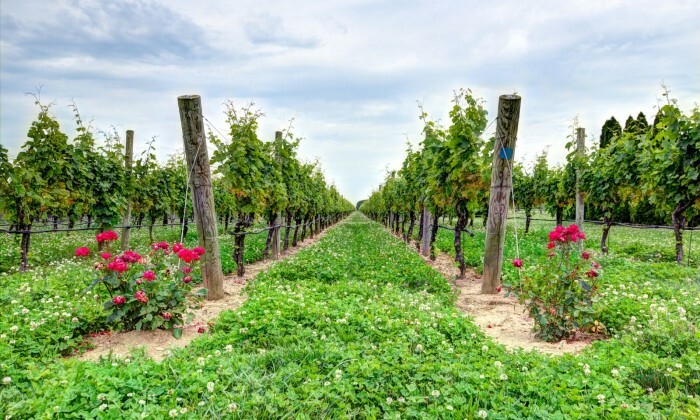 As one of the most established vineyards on the North Fork, vines span across 200 beautiful acres on their property in Mattituck with a separate tasting room in Cutchogue that houses 20 acres of vines. The 2010 Cabernet Franc, which was named Best Red for New York State at the New York Wine and Food Classic, or the beloved 2010 Bergen Red are not to be left unsipped. Krupski’s is the ideal destination for everything autumn. The family has cultivated the land for four generations but didn’t have a farm stand until 1976—when the pumpkin patch was born. Al Krupski convinced his father and grandfather to raise cauliflower and pumpkins, which sparked the retail operation that expanded the business dramatically. Today, a visit to Krupski’s is an annual ritual for most Long Islanders looking to ring in the fall with hayrides, corn mazes and a host of organic produce. 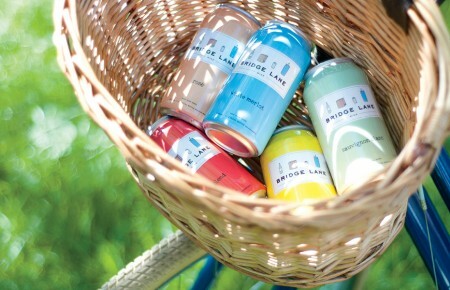 A trip to the North Fork isn’t complete without a stop at Briermere Farms. Nestled along scenic Sound Avenue, this rustic farm stand is lauded for their homemade flaky-crusted pies filled with fresh jams grown right on premise. Briermere produces about 30 preserves, including hard-to-find specialties like gooseberry, elderberry and crabapple. 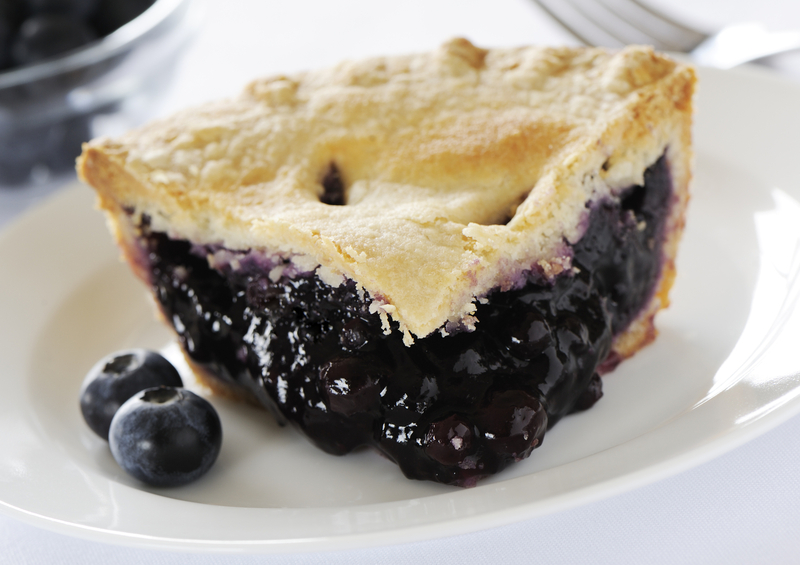 But the classic blueberry still contends with the best of them. 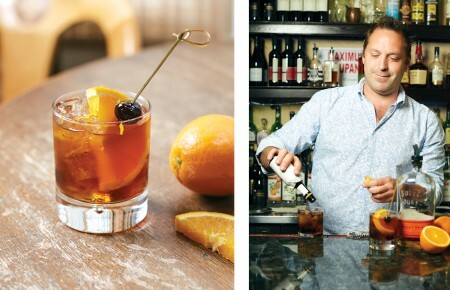 As one of the largest farms on the North Fork, Wickham’s packs a generous punch. Within the farm’s 300 acres, 200 are dedicated to growing fruits. The Wickham’s Fruit Farm vendor stand may look more humble than the vast farmland but don’t let it fool you—it’s been selling some of the best berries, tree fruits and decadent apple cider donuts for more than 300 years. Coffee connoisseurs, welcome to your new stomping ground. 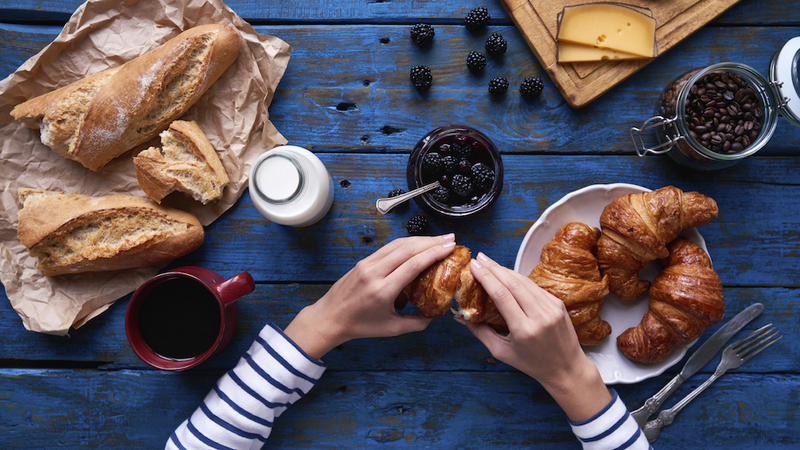 Roasts are so fresh they “smack you.” Pastries, cold brewed teas, local juices and other specialty drinks are served at a corrugated metal coffee bar, making this laid back hide-away the perfect blend of modern and vintage. North Fork Smoked Fish has dinner taken care of. Guests rave about the smoked blue fish fillets that fare wonderfully with salad, on a sandwich or broken up into chowder. A slightly spicier Caribbean pâté made with smoked swordfish and a mixed smoked-fish dip curbs your hunger in the freshest way possible. 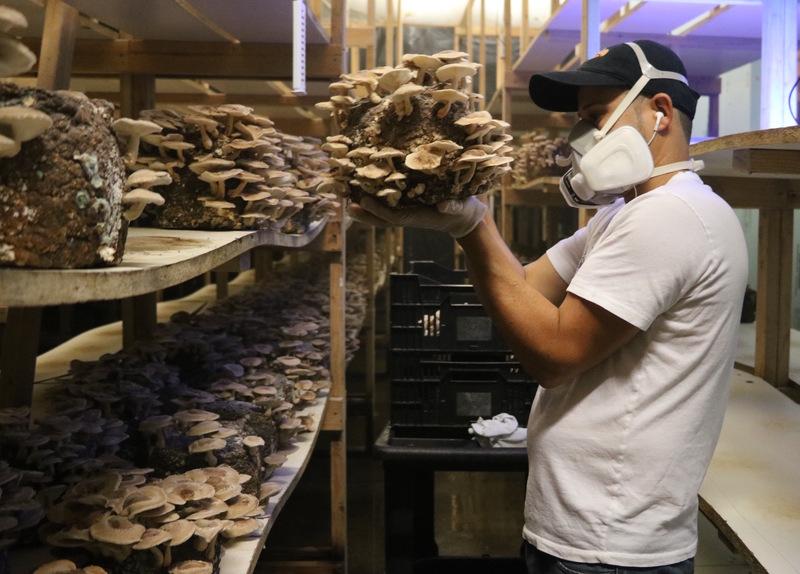 You won’t find any dirt at the largest mushroom farm on Long Island. Owners John Quigley and Jane MacGuire grow, pick and ship their produce out of a shopping center warehouse. Shiitake, Maitake and Oyster varieties have been distributed to restaurants across New York since opening in October 2012.